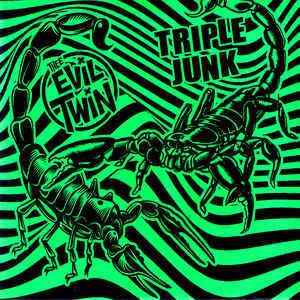 Australia’s Thee Evil Twin team up with Japan’s Triple Junk for this riff ‘n roll double barrel attack. The Evil Twin start us off and have a solid pedigree containing ex members of the Radio Reelers and Papers Bags. They come out struttin’ with two songs that are equal parts the Real Kids, Nervous Eaters and Sonic’s Rendezvous Band. 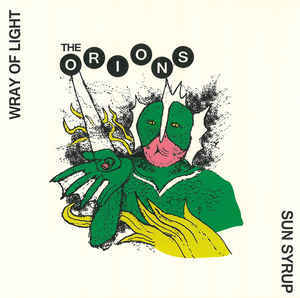 Nice mid-tempo swagger with guitars blazing and a rock-ready sloppy drunk delivery. Flip it over and Triple Junk pair well with their Australian comrades. I hadn’t heard of these guys before and they fire off two rippers along the lines of the Heartbreakers, Ramones, Dead Boys and New York Dolls. Tuff strut rock n’ roll with a smutty late 70s NYC sound.